His defence says it is illegal. 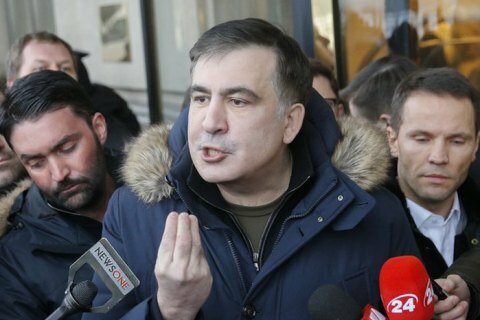 The head of the Mostyska border team has decided to ban former Georgian President Mikheil Saakashvili from entering Ukraine until 13 February 2021, Interfax-Ukraine has reported quoting the first deputy head of the State Border Service, Vasyl Servatyuk, in response to an inquiry from Saakashvili's lawyers. According to the document available to lawyer Ruslan Chornolutskyy, the State Border Service Administration considers this decision to be fully in line with the law in effect. On 12 February, Saakashvili was sent to Poland "under a standard readmission procedure" because he had been staying in Ukraine illegally. Chornolutskyy said the decision of the State Border Service was illegal and would be appealed against.